The two squads are playing their first postseason game in many a season. The Dragons are ending a near 25-year-old drought and the Miners have not played in a postseason contest in over 60 years. Even though this isn’t a playoff game, both teams and fan bases are very excited about playing extra football. It’s a nice reward for strong seasons. 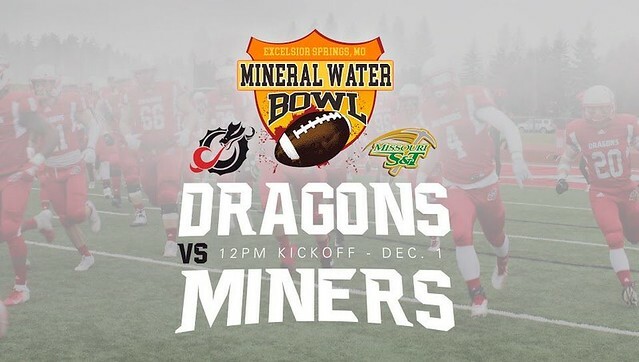 Side note: Miners Head Coach Tyler Fenwick was the Offensive Coordinator for MSUM in 2006, a season in which the Dragons went 6-5 and had an uptick in yards by 65% versus the previous campaign. The Miners are a pass-heavy offense averaging 251 yards through the air and 126 on the ground. Tyler Swart (#6) is a full-sized quarterback at 6’4 and 250 lbs. He’s completed 64% of his throws, 25 for scores Swart also has 10 interceptions. His main target and the biggest weapon for the Miners is speedy wideout Braxton Graham (#3). Graham’s caught 61 balls for 975 yards and has reached the pay window 13 times. Graham is also an explosive player in the return game and has an additional score there as well. 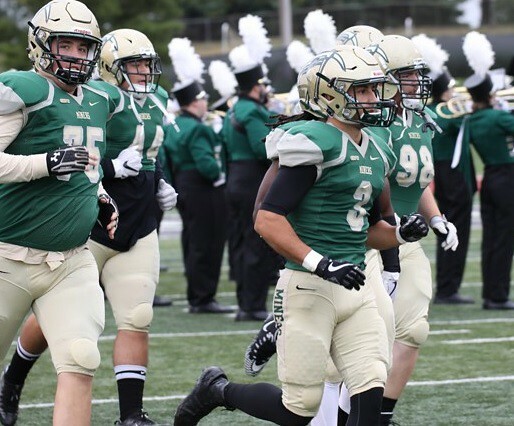 The S&T defense had a bad outing against FCS level Drake University, but otherwise only allowed 17 ppg vs. D2 competition. The Miners allow 296 ypg, looking strong against the run (108 ypg) while a little more susceptible to the pass (188 ypg). S&T has 9 interceptions on the year and has allowed opposing passers to complete 53% of their throws. The Miners get after the quarterback, netting 40 sacks in 11 games, good for 5th in the country. The Dragons are similar to S&T in terms of offensive production and the way they go about it. MSUM can run the ball (152 ypg) but is more productive in the passing game (241 ypg). The Dragons have utilized two quarterbacks this year based upon who had the hot hand and who was healthy. Bryce Meehl (#15) started the year under center before getting replaced by the very capable Jakup Sinani (#6). Meehl then stepped back in after injury sidelined Sinani the last three contests. Both Meehl and Sinani have battled to stay healthy but with the layoff before the Bowl Game, both should be ready for play. Meehl has been effective throwing, completing 65% of his passes for 6 scores and 1 interception. Between the two quarterbacks they threw just 3 interceptions. The Dragons struggled to be efficient in the running game, averaging just 3.3 yards per carry. That’s why MSUM relies on a receiving tandem of Grady Bresnahan (#3) and Jake Richter (#10). The two combined for over 1,800 yards and 13 touchdowns. Bresnahan is a smaller 5’9 wideout who’s a do-everything type of player for Moorhead while Richter is a big 6’4 target. MSUM’s defense has struggled against the NSIC’s better teams, allowing 60 points to UMD, 42 against Mankato, and 55 vs. USF. However, most teams in the conference were also giving up large point totals to those offenses. Overall, the Dragons allowed the same number of points per game as what they scored (28). One would assume an 8-3 team would’ve scored more points than allowed, but once again, those large point totals in the 3 losses skew the numbers. MSUM allows 155 ypg on the ground, while allowing opposing quarterbacks to throw for 232 ypg and a 55% completion rate. The Dragons had just 6 picks. At quick glance, the Miners look better on paper. They score a bit more points than the Dragons and allow 11 ppg less against D2 foes. BUT, not so fast my friend. MSUM played 2 playoff teams and 3 Bowl caliber teams (USF, BSU, SCSU). Down the stretch is when MSUM had to play its way into this Bowl Game, beating a heavily favored Bemidji State team at home, and then outlasting St. Cloud as well. BSU was a pretty strong team at times, so MSUM putting up 31 points and over 400 yards of offense against the Beavers shows well for them. The Miners lost to Indy, which just lost out in the playoffs. The Miners best competition otherwise was Truman State (6-5), a game they won 34-33. That said, it would seem MSUM is more battle tested, having played better competition and historically being from a better league (NSIC vs the GLVC). I think the MWB comes down to whether Moorhead can protect the passer. The Dragons average 3 sacks allowed per game and the Miners are going to be coming after them. If Moorhead can get the ball into the hands of their playmakers without Meehl /Sinani getting pressured, I like their chances to win a higher scoring contest. MSUM is dead even when it comes to turnover ratio, while S&T is -7. I like the trajectory 8th year Head Coach Steve Laqua has this very young MSUM program on and how they’ve finished the season. While Massey Computer Rankings has this game as a 37-23 victory for the Miners, I pick the Dragons to win a very exciting game. Thanks for not forgetting about this game, Witt. Interesting analysis. Go Dragons!